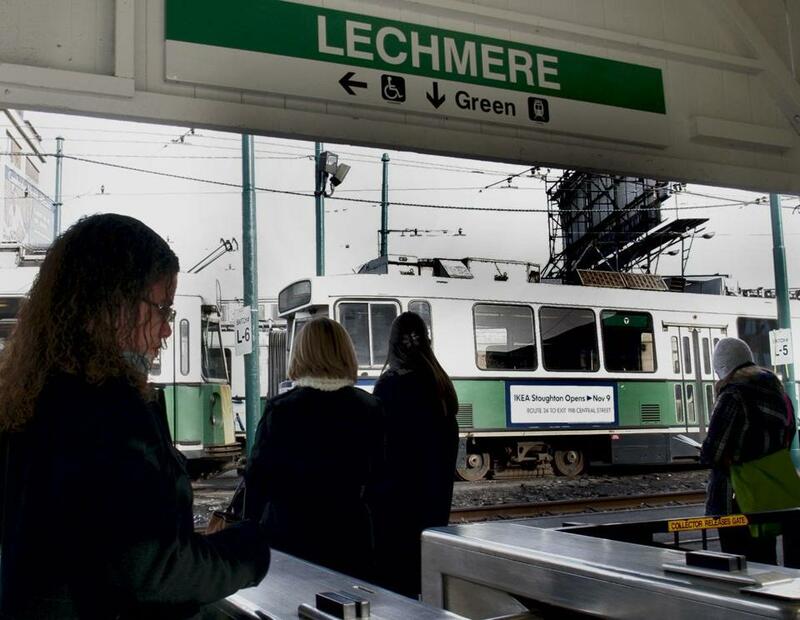 Green Line service would be extended from the current northern terminus, Lechmere, 4.7 miles to Somerville and Medford. The long-planned Green Line extension into Somerville and Medford cleared a crucial milestone on Tuesday with the approval of the new cost estimate for the $2.3 billion project that clears up uncertainty about when and if the project would move forward. The federal government had previously earmarked nearly $1 billion for the 4.7-mile light rail extension, but plans were put on hold for nearly a year when the estimated cost soared to up to $3 billion. The MBTA has since scaled back the project, but needed federal authorization on the new estimate before proceeding. The extension still needs separate approvals from the federal government, but MBTA officials and advocates said the endorsement of the new construction costs represented a major victory. The project is scheduled to be finished by the end of 2021, with some stations opening that summer. Proponents say it will spur economic development by giving riders a direct trip from as far away as Tufts University in Medford to downtown Boston and the rest of the MBTA system. Construction at four MBTA stations at the end of the Braintree line will mean the Wollaston station will close this fall. US Representative Michael Capuano, a Democrat from Somerville, said the project will still undergo further financial analysis and congressional approval. But he said he expects plans will be finalized in the coming months. Rafael Mares, a vice president of the Conservation Law Foundation, an environmental advocacy organization in Boston, said Tuesday’s approval was cause for celebration. The foundation has lobbied for the extension for years. After the group threatened legal action to block the Big Dig highway project, the state agreed in 1990 to complete the extension as a way of offsetting the environmental impacts from increased driving. In 2005, the foundation filed a lawsuit that accused the state of reneging on its commitments. The state settled the suit the next year, agreeing to finish the project by 2014. But the extension was still largely unfunded until Congress approved the nearly $1 billion federal grant in 2015. Over time, it became increasingly clear that the cost of the project would far exceed its nearly $2 billion budget. State officials blamed an overreliance on outside consultants and a construction contracting process that the state was unacquainted with, among other factors. In 2015, the MBTA and its oversight board essentially halted the project while consultants worked to downsize it. Under the new design, enclosed stations became open-air stops, a community path to run alongside the rail line was shortened, and a vehicle maintenance facility was pared back. Even scaled back, the extension marks a major investment. It involves moving Lechmere station in Cambridge and adding new stations at Union Square, East Somerville, Gilman Square, Magoun Square, Ball Square, and College Avenue. In May, the state’s transportation board approved the new plans, but warned the MBTA still had to generate more funding. Other sources include Somerville, which is paying $50 million, Cambridge, which is pitching in about $25 million, and the Boston Region Metropolitan Planning Organization, which reallocated funds to the project. MBTA officials also say that they will use $64.3 million more in state money for the project, using bonds from the state’s “rail enhancement program,” said Andrew Brennan, the MBTA’s director of energy and environment. That account is usually used to pay for other transit projects. In January, the FTA and the MBTA held an extensive two-day meeting to review the cost estimates, and FTA officials sent over their report on Monday. Some have worried that federal funding for public transit could be reduced under the Trump administration, but a recent budget blueprint from the White House appeared to support already funded projects. The Green Line extension is also one of dozens of infrastructure projects across the country that were highlighted by the Trump administration, and Baker said the extension was on a priority list for administration officials. The MBTA will be using a different contracting process to help speed up construction and avoid the cost increases that plagued the project last time. That process, called “design-build,” involves hiring a group of firms that work together to design and construct the project. Earlier this year, the agency released a list of three firms that could win the project, and will seek to award the contracts in the fall. 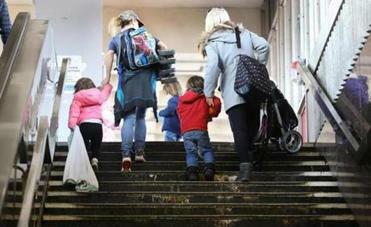 The MBTA will be under pressure to complete the project on budget, but some activists say they will continue to push for additions. Mares, for example, thinks that the community path should be lengthened and that the state needs to find the money for a station on Route 16, past the current end of the line at College Avenue in Medford.